Freelance game designer, tabletop roleplaying game author, and professional cartographer. 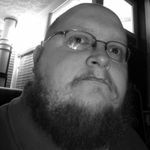 Author, designer, and cartographer for AAW Games. Software developer for AetherCon Online Tabletop Gaming Convention.